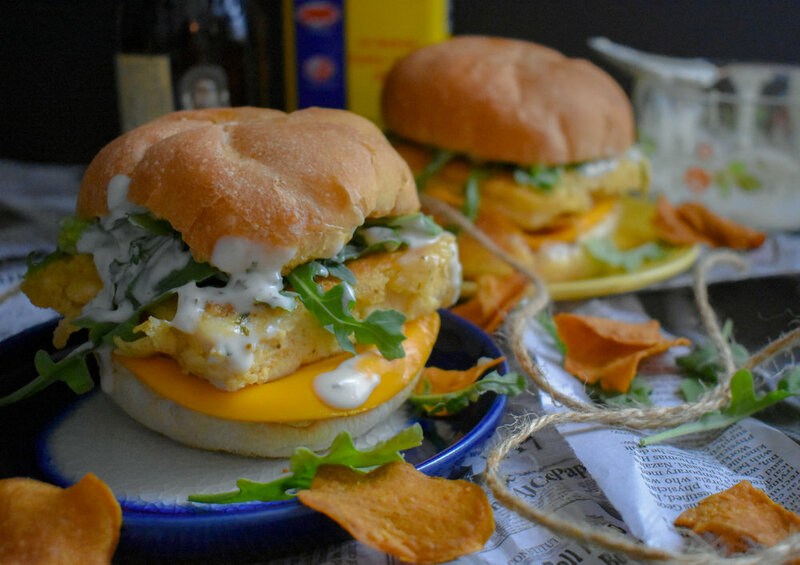 Jun 20 Vegan Fillet of Fish Sandwich w/ Dairy-Free Tartar + Beer Battered Tofu "Fish"
Playing off of the McDonalds' favorite - Filet o Fish, I wanted to re-imagine that as a vegan dish....say whhhat?! From the fish to the batter to the cheese and tartar sauce, this recipe is wholly not vegan! To that I say CHALLENGE ACCEPTED! I had previously made a delicious vegan fish + chips recipe that people seemed to love, so I thought why not start with that. We are going to use tofu to represent our fish, but we'll be beer battering and cooking in yummy vegan butter to give it acrispy, decaddent, salty exterior. 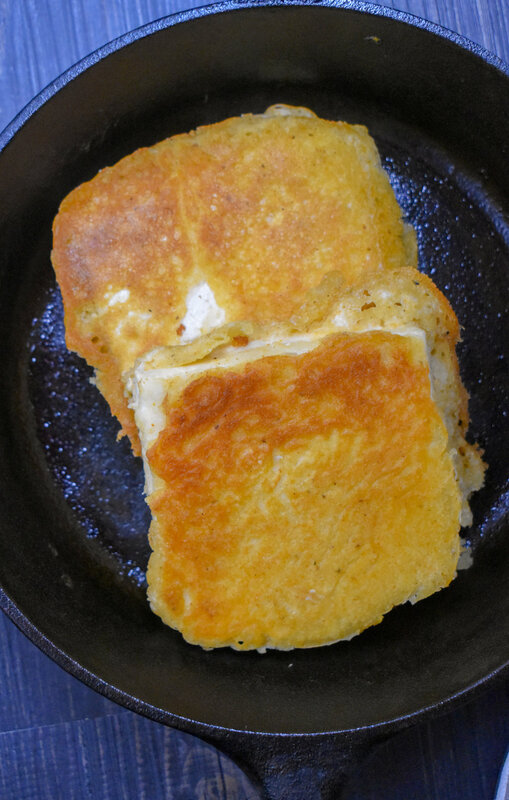 Tofu does a nice job recreating the texture, while the silky beer batter is second to nonw! The tartar sauce is a must for any fish sandwich, so we cover that with all vegan, dairy-free products but its a simple mix of pickle relish, vegan mayo, lemon juice, and a few oyther ingredients. From there, we use delicious kaiser rolls, melty vegan cheese, and some rocket lettuce (arugula) for good measure. 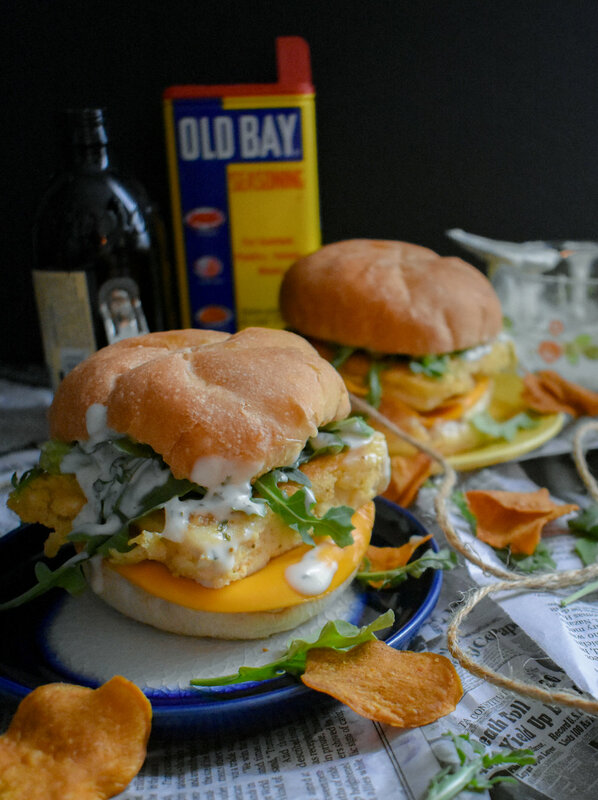 Cram it between a toasty bun, and you just made 100% planr-based, 100% delicious vegan Filet of Fish Sandwich in just 40 minutes! That's right, this is an easy peasy recipe anyone can do! 1. Start by wrapping the tofu in a tea towel or thin, clean dish towel. Place a castiron pan on top of it or other heavy pot/pan. 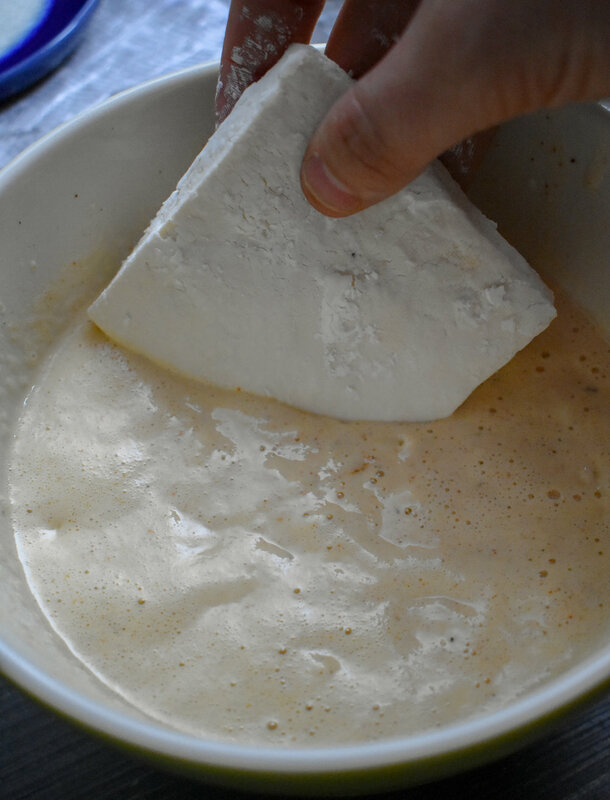 This process helps draw out the water and dry the tofu. Let it sit for 15 minutes. 3. 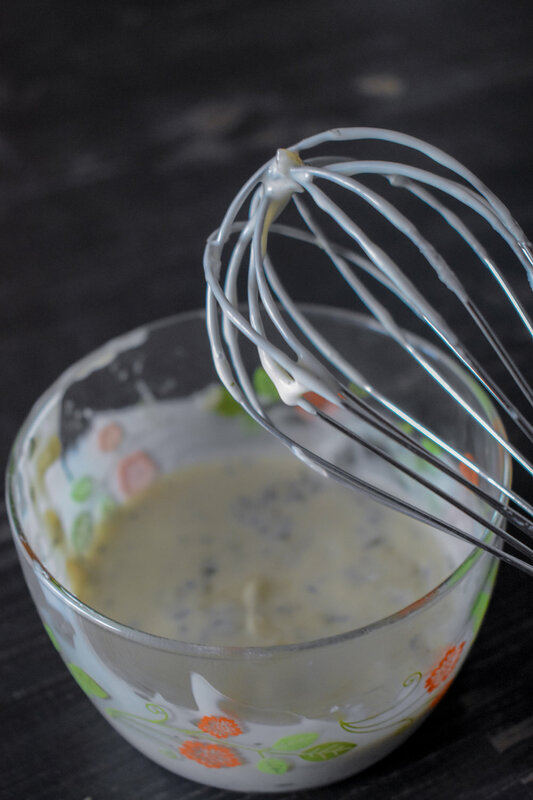 While the tofu is draining and the batter is firming up, mix together all tartar sauce ingredients with a whisk or spoon. Set in the fridge until ready to form sandwiches. 4. Next, slice the last 1/5 of the tofu block off to create a square shape. Then flip on the width side and slice in half so you have two equal squares. 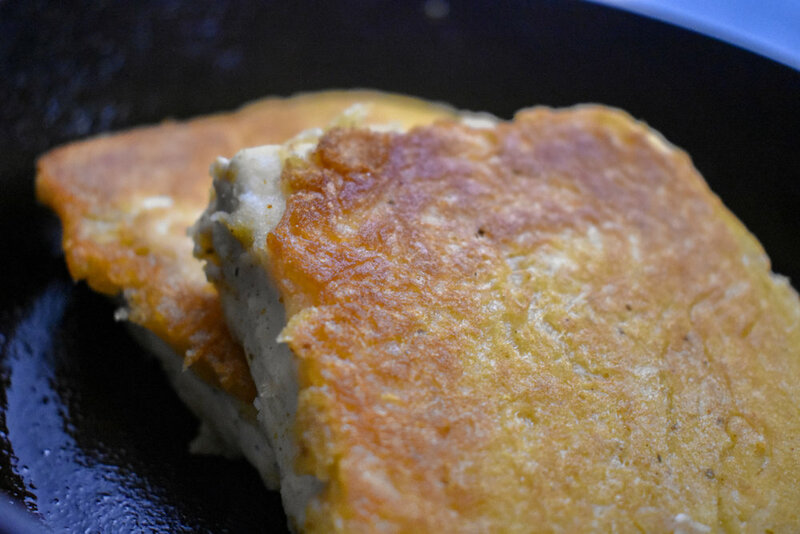 Mix the tofu with cornstarch to create a coating on the tofu. 6. Next, place the vegan butter in a large frying pan or castiron pan. While the butter melts and warm, pull your batter out and carefully dip each fillet into the batter untill fully coated. Pull out and let excess batter drip off and then place onto the pan as quickly as possible. 7. Cook on each side for 4 minutes until golden brow over medium heat. 8. 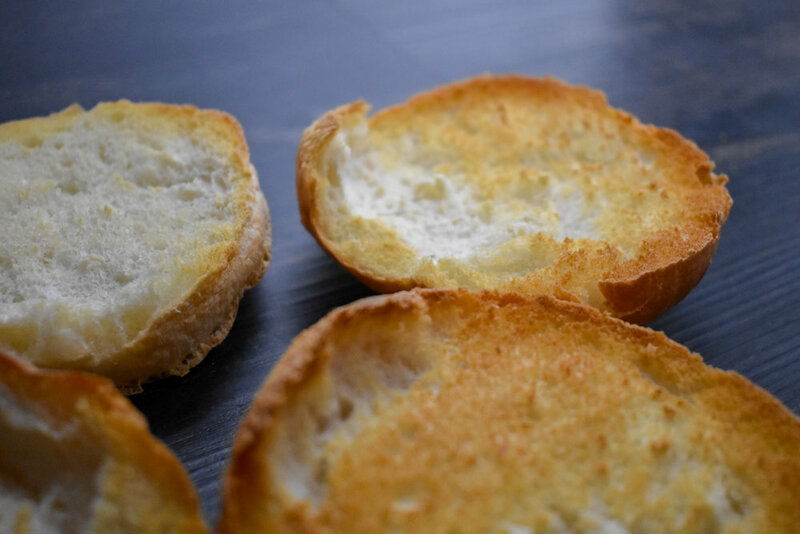 While the fish fillets cook, place your buns (halved) into oven on Broil 525F for 7 minutes (until golden brown). I don't preheat the oven. 8. To finish, build the sandwich. Place sliced cheese on bottom, place fillet above that, add handful of arugula, and then finish with tartar sauce. Squish it down and enjoy! Be part of the Vegan Caveman movement! Sign up today and get our 10 Cooking Tips for a Vegan Kitchen. Welcome to Vegan Caveman. I hope to challenge what it means to be vegan through recipes of foods you love to eat. From tacos to BBQ to kebabs and so much more, I aim to create healthier, plant-based versions.